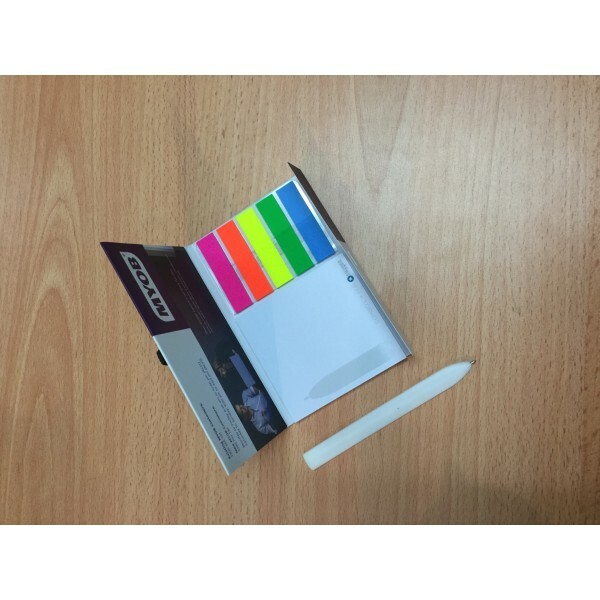 This custom printed sticky note combination has all the features that you need. Purchase these in bulk and have them delivered directly to your office or event. This particular combination set is one of our best selling options. We supply this style of sticky note to you in bulk quantities with custom printing of your logos or graphics. Price includes full colour print on the front and back covers of your graphics, images or logos. Strong self adhesive on the back so your sticky notes will stay in place, without leaving any residue. Delivery all around Australia direct to your location or event. Product is made in Australia. Fast 2 week delivery for all local orders.